The Qt QML module provides a set of APIs for extending QML through C++ extensions. You can write extensions to add your own QML types, extend existing Qt types, or call C/C++ functions that are not accessible from ordinary QML code. This tutorial shows how to write a QML extension using C++ that includes core QML features, including properties, signals and bindings. It also shows how extensions can be deployed through plugins. Many of the topics covered in this tutorial are documented in further detail in Integrating QML and C++ and its documentation sub-topics. In particular, you may be interested in the sub-topics Exposing Attributes of C++ Classes to QML and Defining QML Types from C++. The code in this tutorial is available as an example project with subprojects associated with each tutorial chapter. In Qt Creator, open the Welcome mode and select the tutorial from Examples. In Edit mode, expand the extending-qml project, right-click on the subproject (chapter) you want to run and select Run. A common task when extending QML is to provide a new QML type that supports some custom functionality beyond what is provided by the built-in Qt Quick types. For example, this could be done to implement particular data models, or provide types with custom painting and drawing capabilities, or access system features like network programming that are not accessible through built-in QML features. In this tutorial, we will show how to use the C++ classes in the Qt Quick module to extend QML. The end result will be a simple Pie Chart display implemented by several custom QML types connected together through QML features like bindings and signals, and made available to the QML runtime through a plugin. 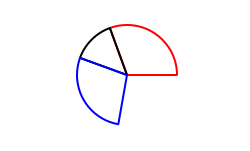 To begin with, let's create a new QML type called "PieChart" that has two properties: a name and a color. 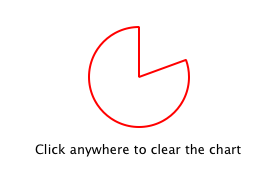 We will make it available in an importable type namespace called "Charts", with a version of 1.0.
name: "A simple pie chart"
The class inherits from QQuickPaintedItem because we want to override QQuickPaintedItem::paint() in perform drawing operations with the QPainter API. If the class just represented some data type and was not an item that actually needed to be displayed, it could simply inherit from QObject. Or, if we want to extend the functionality of an existing QObject-based class, it could inherit from that class instead. Alternatively, if we want to create a visual item that doesn't need to perform drawing operations with the QPainter API, we can just subclass QQuickItem. Notice that although the color is specified as a string in QML, it is automatically converted to a QColor object for the PieChart color property. Automatic conversions are provided for various other basic types; for example, a string like "640x480" can be automatically converted to a QSize value. We'll also create a C++ application that uses a QQuickView to run and display app.qml. The application must register the PieChart type using the qmlRegisterType() function, to allow it to be used from QML. 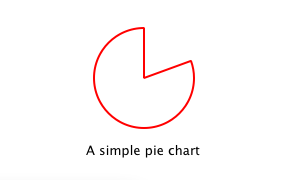 If you don't register the type, app.qml won't be able to create a PieChart. This call to qmlRegisterType() registers the PieChart type as a type called "PieChart", in a type namespace called "Charts", with a version of 1.0. Note: You may see a warning Expression ... depends on non-NOTIFYable properties: PieChart::name. This happens because we add a binding to the writable name property, but haven't yet defined a notify signal for it. The QML engine therefore cannot update the binding if the name value changes. This is addressed in the following chapters. text: "Click anywhere to clear the chart"
The use of Q_INVOKABLE makes the clearChart() method available to the Qt Meta-Object system, and in turn, to QML. Note that it could have been declared as a Qt slot instead of using Q_INVOKABLE, as slots are also callable from QML. Both of these approaches are valid. Property binding is a powerful feature of QML that allows values of different types to be synchronized automatically. It uses signals to notify and update other types' values when property values are changed. 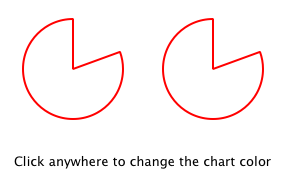 text: "Click anywhere to change the chart color"
The "color: chartA.color" statement binds the color value of chartB to the color of chartA. Whenever chartA's color value changes, chartB's color value updates to the same value. When the window is clicked, the onClicked handler in the MouseArea changes the color of chartA, thereby changing both charts to the color blue. It's easy to enable property binding for the color property. We add a NOTIFY feature to its Q_PROPERTY() declaration to indicate that a "colorChanged" signal is emitted whenever the value changes. It's important for setColor() to check that the color value has actually changed before emitting colorChanged(). This ensures the signal is not emitted unnecessarily and also prevents loops when other types respond to the value change. The use of bindings is essential to QML. You should always add NOTIFY signals for properties if they are able to be implemented, so that your properties can be used in bindings. Properties that cannot be bound cannot be automatically updated and cannot be used as flexibly in QML. Also, since bindings are invoked so often and relied upon in QML usage, users of your custom QML types may see unexpected behavior if bindings are not implemented. If we want to create a property whose type is not supported by QML by default, we need to register the type with the QML engine. The append_slice() function simply sets the parent item as before, and adds the new item to the m_slices list. As you can see, the append function for a QQmlListProperty is called with two arguments: the list property, and the item that is to be appended. The PieSlice class has also been modified to include fromAngle and angleSpan properties and to draw the slice according to these values. This is a straightforward modification if you have read the previous pages in this tutorial, so the code is not shown here. Currently the PieChart and PieSlice types are used by app.qml, which is displayed using a QQuickView in a C++ application. An alternative way to use our QML extension is to create a plugin library to make it available to the QML engine as a new QML import module. This allows the PieChart and PieSlice types to be registered into a type namespace which can be imported by any QML application, instead of restricting these types to be only used by the one application. The steps for creating a plugin are described in Creating C++ Plugins for QML. To start with, we create a plugin class named ChartsPlugin. It subclasses QQmlExtensionPlugin and registers our QML types in the inherited registerTypes() method. Then, we write a .pro project file that defines the project as a plugin library and specifies with DESTDIR that library files should be built into a ../Charts directory. CONFIG += install_ok  # Do not cargo-cult this! Defining custom import paths is useful also when there are multiple applications using the same QML imports. The .pro file also contains additional magic to ensure that the module definition qmldir file is always copied to the same location as the plugin binary. The module "Charts" will be loaded by the QML engine, and the types provided by that module will be available for use in any QML document which imports it. See also Integrating QML and C++.